A short form request for proposal (RFP) is used for proposals which would be considered lower risk. You would not be looking to buy a space shuttle with this template as it is not meant to be for extremely technical spend and lets face it not every proposal needs to be 80 pages long. Here is a preview of a page of a basic RFP we have used in these circumstances. 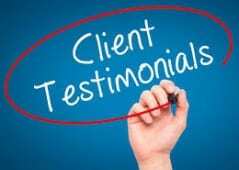 This short form RFP sample includes an invitation, table of contents, background, service/work requirements, submission guidelines and conditions. 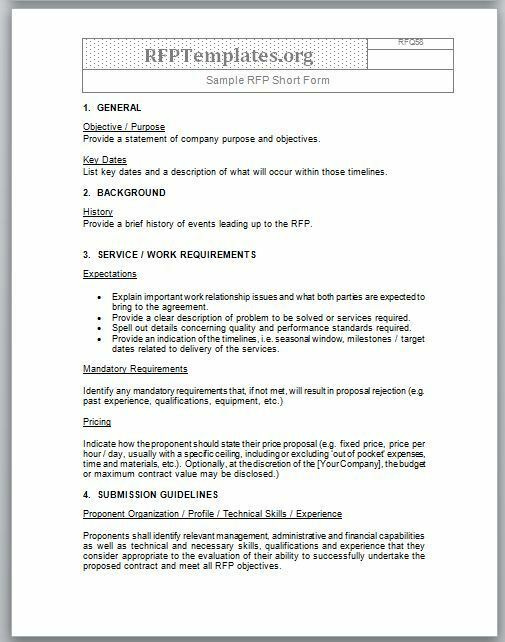 To get your copy of this edit friendly RFP sample template you can either subscribe and it is included in our free welcome bundle or you can buy our Purchasing Managers bundle and it along with 89 other quality procurement templates will be provided with your order. Download details here >>> purchasing managers bundle.